Pocket Immunization card set from MDpocket with the latest guidelines for 2019. Have the complete set of infant, child, adolescent, and adult immunizations in your pocket for rapid referencing. Each year, the Advisory Committee on Immunization Practices approves immunization schedules for individuals living in the United States with the creation of immunization schedule for children, adolescents, and adults. MDpocket has compiled these recommendations into a 2-card set to easily fit inside your pocket. Have all the immunizations handy at a moment’s notice. Make sure you get the right cards for you! 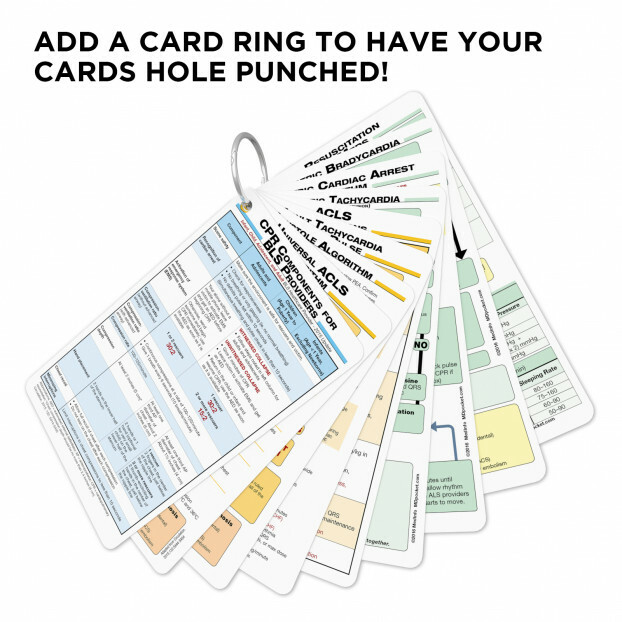 Click here for our other medical reference cards and sets!